H.E. Mrs. Adela Raz holds an MA degree in Law and Diplomacy with a focus on Economic Development from the Fletcher School/Tufts University and a BA with honors with triple majors in International Relations, Political Science, and Economics from Simmons College in Boston, USA. She also holds a certificate in International Development from the Fletcher School/ Tufts University. Ambassador Raz possesses 11 years of extensive experience in the fields of political and economic analysis, policy development, media and communication and governance, with various governmental and non-governmental, local and international organizations. She started her career with the United Nations Assistance Mission in Afghanistan (UNAMA) in 2002 and headed to the United States in 2004 to pursue her higher education. From 2010 to early 2013, Mrs. Raz worked with an international development organization in the United States, with projects focused on Afghanistan and Central Asia. In 2013, Ambassador Raz was appointed as the first female Deputy Spokesperson and Director of Communications for the President. She moved into a new position as the Chief of Staff at the Administrative Office of the President in November 2014, and in March 2016, she was appointed as Deputy Minister for Economic Cooperation at Ministry of Foreign Affairs. As Deputy Foreign Minister, Mrs. Raz has represented Afghanistan in various multilateral conferences and fora. 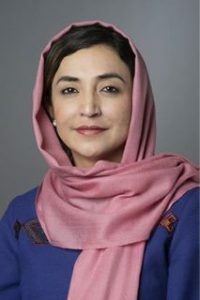 Among other bilateral and multilateral responsibilities, she was leading the two major Afghanistan centered regional cooperation platforms – the Regional Economic Cooperation Conferences on Afghanistan (RECCA) and the Heart of Asia – Istanbul Process (HoA-IP). 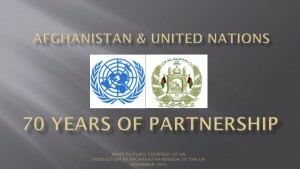 Some major tasks under her leadership and portfolio are leading the negotiation and finalization of the declarations of RECCA, HoA-IP and the Geneva Conferences on Afghanistan; leading the negotiation and signing process of the Lapis Lazuli Route Agreement, and inclusion of Women’s Economic Empowerment component as a new initiative under RECCA. Other notable works of Mrs. Raz in Afghanistan includes completing an assessment of Afghanistan’s Non-Governmental Organizations (NGO) and Civil Society Organizations (CSO) law. Mrs. Raz liaised with the government, UN agencies, and NGOs to create baseline data on the human rights, political and development situations and gender equality. Also she co-authored a study about “Public Private Cooperation in Fragile States”. Ambassador Adela Raz is married and has a daughter.